See dependable furniture favorites AND what's new from TableLegs.com in our wish-book catalog. 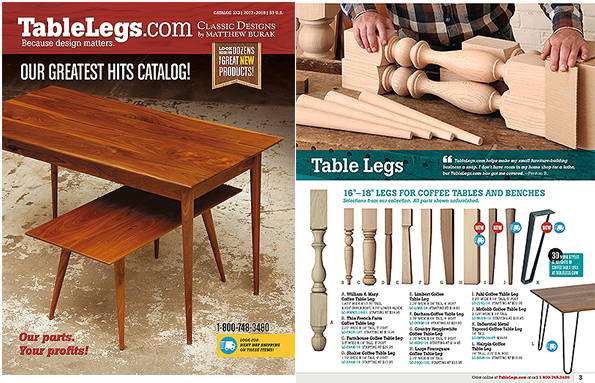 Our latest Greatest Hits Catalog features all that's new from the past year-plus at TableLegs.com, complemented with our dependable, tried-and-true furniture products including complete tables, table bases, attachments systems, table-making components, wood columns and more. Dream of the furniture possibilities for your home, office or business. Commercial woodworkers: Use our parts to increase your profits!